Bull Market Vs Bear Market: What Is The Difference? Bulls and bears. What do they mean for your finances? Let’s take a look at the difference between a bull and bear market. Where we are now and why keeping your cool when the bears takeover is the smartest thing to do for your financial future. In a bull market, the market goes up and as it rises people feel optimistic, investing more as strong results continue. Investors hold onto their investments in the belief that the price will continue to increase. Since shares are in short supply, buyers pay higher prices, which continues to drive market growth. Various factors can contribute to a bull market including economic recovery or an economic boom. Many call a bear market when prices spiral into an ongoing decline of 20% or more. Many investors hit panic mode and sell off their investments, with little regard for the price at which they sell and the economy hits a recessionary phase. It’s not all doom and gloom though, a smart investor can potentially reap excellent gains during this time with a few calculated risks. Bear markets can be caused by overvalued markets; think tech stocks in 2000, or financial crises like the US mortgage meltdown in 2008. Since the financial crisis in 2009, we’ve been in the swing of a bull market. 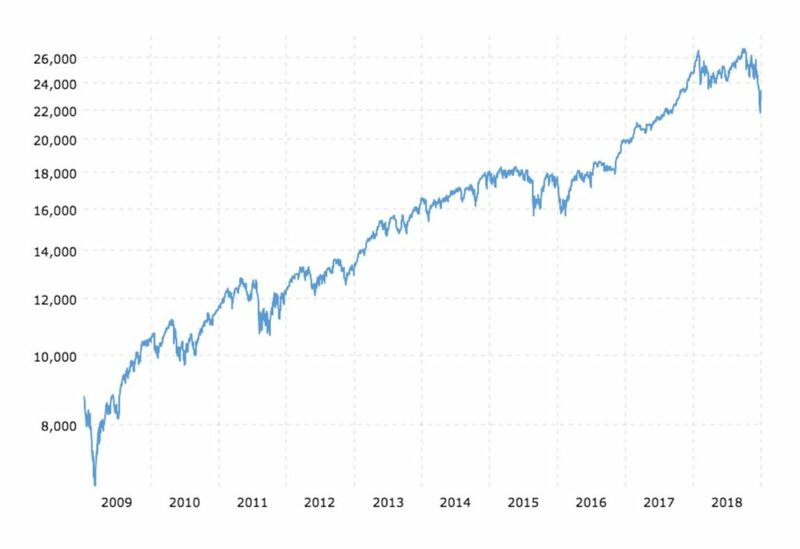 The snapshot below shows the performance of the Dow Jones Industrial Average (DJIA) index over the last ten years. As you can see, the market has continued to rise consistently over the past ten years. All market cycles come to an end and we’ve experienced a bull market for so long, a bear market could be on the horizon. While some financial analysts predict a short-term correction and opportunity to ‘buy the dip’ others say a deeper decline is ahead of us. 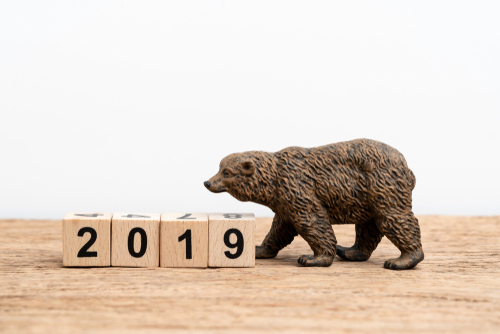 While it’s impossible to accurately predict exactly how the market will play out, if we do slide into a bear market, it’s important as an investor to keep your cool. There are a few things you can do to protect your investments from the effects of a bear market. Making a few tweaks to your current portfolio allocation can help cushion the damage of a brutal bear market. Diversification is key to hedging against risk and you might shift more of your investments toward safer asset classes during volatile market times. One adjustment you could make is to increase the number of bond investments you have. When you buy a bond, you’re lending money to an entity — for example the government or company — at a fixed interest rate for a set period of time. You’ll receive interest payments at regular intervals from the entity and at maturity, the principal will be returned. Bonds are usually considered a ‘safe’ investment option as you’ll always receive the face value of the bond – the principal and the interest – if you hold it until maturity. Another attractive thing about investing in bonds; they’re easy to buy and sell. You might also look to diversify your portfolio with more precious metals during a bear market. 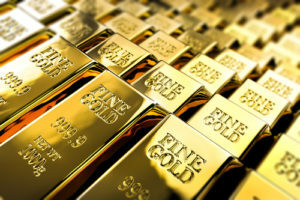 Gold, silver and platinum hold the lion’s share of precious metals in the investment market and are usually considered safe because they’re not subject to the same volatility as stocks and paper money (fiat currency) which can collapse. These metals are universally valuable commodities and because you can’t create more than whatever supply is already in existence (unlike paper currency) they can’t be inflated. Precious metals are also tangible, liquid assets. Aside from hitting panic mode and selling off investments left right and centre, people lose money another way during a bear market – when they stop investing altogether. It’s easy to get spooked when the market seems to be barely spluttering along and you’re afraid or confused about what to do. However, no one knows how long a bear market will last. If you’re out of the game, you may miss an opportunity when the market begins to rally again because you haven’t been buying all along. Disciplined investors will hang in there and take advantage of a bear market to lay the groundwork for future wealth building. I don’t think it’s a great idea to get overly caught up with what you read and hear on the news every day. Media outlets put out the dramatic headlines to get eyes on their platforms. 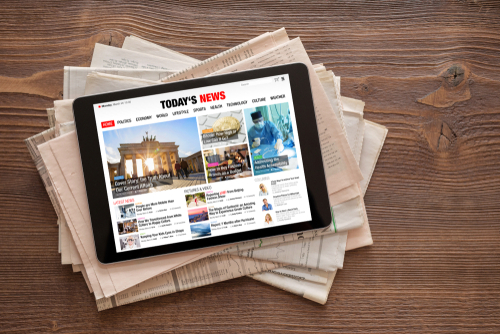 An overload of information and sensationalism can lead to irrational, emotional decisions. Not a winning combination when it comes to your finances. I’m not saying ignore everything you hear. Just be smart about the sources you trust when making the kind of decisions that will seriously impact the outcome of your financial future. Personally, I like to read books by smart people like Tony Robbins and Warren Buffett for lessons. I also listen to a podcast called the Disciplined Investor for an overview of what is going on, without the sensational headlines. The bottom line? Keep your eye on the big picture. Market ups and downs, no matter how big they may seem that day, week, month or even year, don’t matter nearly as much as average returns over time. Play the long game! Leave me a comment below and let me know how you are going to manage when the bears arrive. Yes I have done a number of Louise and Chris’ courses over the years, including their Mentor Program. I remain in contact with Louise and a Buddy for the Mentor program for first time participants. It is a very good course for those wanting to improve their trading skills. It is not for the faint hearted, there is a lot of personal development and work required in order to achieve the outcomes you are seeking, but well worth the effort if you are committed. I wanted to ask you if you participated in the trading program offered by Louise Bedford.